This civil case arises out of Padilla’s arrest and detention by U.S. military officials. 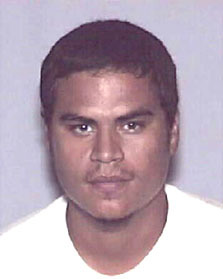 In May 2002 Padilla was arrested at O’Hare International Airport near Chicago on suspicion of plotting a radiological bomb attack in the U.S. and was detained under a federal material witness arrest warrant until June 9, 2002, when President George W. Bush declared Padilla to be an “enemy combatant.” For the next 3 and a half years Padilla was detained in a military brig where he repeatedly was subjected to sleep deprivation, shakling, stress positions, solitary confinement and administration of psychotropic drugs. In January 2006 he was transferred to a federal civilian detention facility in Miami, Florida, where a federal jury in August 2007 found him guilty of conspiring to kill people and to support overseas terrorism and a federal judge in January 2008 sentenced him to 17.3 years imprisonment. This conviction was affirmed in September 2011 by the U.S. Court of Appeals for the Fourth Circuit, which vacated the 17.3 sentence as too lenient. The case was remanded to the district court where the case awaits the new sentencing. This civil case was commenced by Padilla and his mother in January 2008. The complaint alleged that Yoo, as an attorney in the U.S. Department of Justice’s Office of Legal Counsel, had authored various legal memoranda that provided purported legal justification for Padilla’s detention and interrogation, all in violation of the First, Fourth, Fifth, Sixth and Eighth Amendments to the U.S. Constitution, Article III and the Habeas Suspension and Treason Clauses of the Constitution and a federal statute. The complaint sought nominal damages of one dollar and a declaration that his treatment violated these constitutional and statutory provisions. After the district court denied Yoo’s motion to dismiss the complaint, he appealed to the Ninth Circuit, which reversed the trial court on the previously mentioned immunity ground. With this major premise in hand, the Ninth Circuit then concluded that in 2001-2003, when Yoo was at the Department of Justice, it was not clearly established that a U.S. citizen held in military detention as an enemy combatant was entitled to the same constitutional and statutory rights as convicted prisoners and that Padilla’s treatment amounted to torture. The New York Times, on the other hand, criticized this decision. Its editorial acknowledged that the Ninth Circuit followed, as it had to, a U.S. Supreme Court ruling in 2011 that the so-called qualified immunity existed unless “existing precedent” put the claimed right “beyond debate.” This Supreme Court decision, however, had changed the legal standard for such immunity; previously it had required that a reasonable person would have known about the alleged right he allegedly had violated. In the meantime, as reported in a prior post, Yoo and five other authors of the legal memoranda regarding detention and interrogation of individuals in the so-called war on terrorism are the suspects in a criminal case in Spain under the principle of universal jurisdiction that the trial court had temporarily dismissed or stayed so that the issues could be pursued in the U.S. On March 23, 2012, an appeals court in Spain affirmed the trial court’s decision. However, three of the 17 members of this appellate court dissented on the grounds that the conduct authorized by these memoranda were crimes under international and Spanish law and that the requirements for a Spanish court to defer to U.S. authorities under Spain’s concept of “subsidiarity” had not been satisfied. 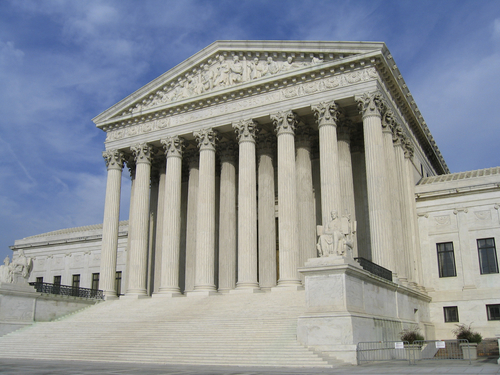 As discussed in a prior post, on February 28th the U.S. Supreme Court heard oral arguments in Kiobel v. Royal Dutch Petroleum (Shell) (Sup. Ct. No. 10-1491) on the issue of whether or not corporations could be held liable under the U.S. Alien Tort Statute (ATS), and a decision in the case was expected by the end of this June. This surprising development appears to have been triggered by that very issue having been raised in another ATS case in a pending petition for a writ of certiorari to the Supreme Court in Rio Tinto vs. Saari (Sup. Ct. No. 11-649) brought by a corporation that had lost an ATS case in the U.S. Court of Appeals for the Ninth Circuit in San Francisco, California. The Rio Tinto cert. petition was considered by the Court at its private conference on Friday, March 2nd, and the order for rehearing in Kiobel was issued the following Monday (March 5th) without any announced action on the Rio Tinto cert. petition. This apparent connection between the two cases calls for seeing what additional light may be shed on this new issue in Kiobel by examining that same issue in the Rio Tinto case. Rio Tinto, by the way, submitted an amicus curiae brief in Kiobel, but that brief did not discuss the extraterritoriality issue presumably because it was not germane to the two issues previously specified by the Supreme Court for the first Kiobel argument. This case under the ATS was brought by current or former residents of an island (Bougainville) in Papua New Guinea in the South Pacific Ocean. In the late 1980’s many residents of the island protested the mining activities on the island by Rio Tinto PLC and Rio Tinto Ltd., and the country’s military stopped the protests by killing many of the protesters. Their ATS case alleged that the military’s human rights violations were aided and abetted by Rio Tinto PLC, a public company headquartered in the U.K., and Riot Tinto Ltd., an affiliated public company headquartered in Australia. The case started before 2002 and has a long complicated history. The decision leading to the pending petition for a writ of certiorari in the Supreme Court was the October 25, 2011, en banc decision of the Ninth Circuit issued more than a year after the oral arguments. That decision partially sustained an ATS complaint against the two corporations and remanded the case to the federal district court in California for further proceedings. 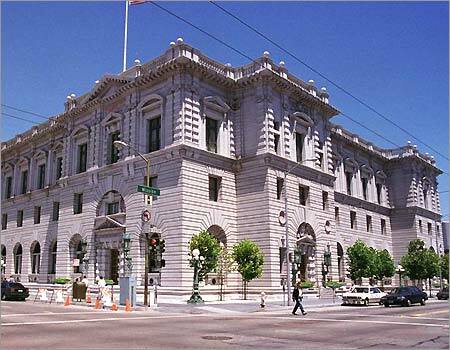 This decision by the 11 judges of the Ninth Circuit consisted of seven opinions spanning 170 pages covering many issues with different splits on different issues. On the issue of extraterritoriality of the ATS, seven of the judges held that the statute had such application while the other four judges disagreed. The author of the 49-page majority opinion that sustained the ATS complaint was Chief Judge Mary Schroeder, who was joined on the issue of extraterritoriality by Judges Silverman, Berzon, Reinhardt, Pregerson, Rawlinson and McKeon. This section of the majority opinion is found on pages 19334-39 of the slip opinion. The majority opinion first noted that the Ninth Circuit itself previously had decided that the ATS had extraterritorial application in In re Estate of Ferdinand Marcos, Human Rights Litig. (Marcos I), 978 F.2d 493, 499-501 (9th Cir. 1992), which involved torture that took place in the Philippines. In categorically rejecting the argument that the ATS applies only to torts committed in the U.S., the court had stated, “we are constrained by what [the ATS] . . . shows on its face: no limitations as to the citizenship of the defendant, or the locus of the injury.” (Id. at 500.) By implication, as a matter of stare decisis, the Ninth Circuit should reach the same conclusion in the current case. The majority opinion buttressed this point by citing cases in other circuits that had reached the same conclusion. The majority opinion then observed that the U.S. Supreme Court’s only opinion on the ATS in the Sosa case in 2004 had recognized that the First Congress in 1789 had overseas conduct in mind when the Court in Sosa explained that in 1789, piracy was one of the paradigmatic classes of cases recognized under the ATS. Such “clear indications” of extraterritorial applicability of the ATS were found by the majority opinion in both the statute’s text and its context. The text of the ATS provides for jurisdiction “of any civil action by an alien . . . committed in violation of the law of nations or a treaty of the United States.” 28 U.S.C. § 1350. This text expressly creates jurisdiction for claims brought by persons who are not U.S. citizens. The text’s explicit reference to the “law of nations” indicates that one must look beyond U.S. law to international law in order to decide what torts fall under its jurisdictional grant. Moreover, the ATS was enacted in 1789 in the context of piracy occurring outside the U.S. as one of the paradigmatic classes of cases covered by the ATS. Finally, according to the majority opinion, the ATS is a jurisdictional statute, and federal courts frequently exercise jurisdiction with regard to matters occurring outside the U.S., subject to the courts having personal jurisdiction over the defendants and to the principles of forum non conveniens and conflict of law principles that may call for dismissal of specific cases based upon their facts. In short, says the majority of the Ninth Circuit, the ATS provides a domestic forum for claims based on conduct that is illegal everywhere, including the place where that conduct took place. It is no infringement on the sovereign authority of other nations, therefore, to adjudicate claims cognizable under the ATS. These dissenters’ concluded that the ATS was limited to torts in the U.S. to foreigners who were in the U.S. or who were outside any foreign state’s territory (i.e., on the high seas). There were four points or arguments advanced to support this conclusion. Second, the ATS, they state, does not expressly authorize extraterritorial application, and its reference to the “law of nations” does not imply that it does. In addition, while the ATS does cover piracy on the high seas, that fact does not imply jurisdiction over wrongs committed within the territory of a foreign state. I concur with commentators in the New York Times and Wall Street Journal that the order for rehearing is not a good sign for maintaining the ATS as a means of enforcing international human rights and for upholding corporate liability under the ATS. Another commentator speculates that the new issue specified by the Court for rehearing in Kiobel even encompasses the serious issues of (a) defining the elements for the tort of aiding and abetting a government’s human rights violations; and (b) the constitutionality of extraterritorial application of the ATS, both of which were addressed in the previously mentioned en banc opinions in Rio Tinto. Finally, there is a bill in Congress with respect to other “Foreign-Cubed” matters. The bill would punish foreigners linked to foreign human rights abuses of foreigners (or presumably U.S. citizens) by denying them U.S. travel visas and freezing their financial assets in the U.S. Similar legislation has been proposed in the U.K. and eight other European countries.